Find out about this old Scots Border Clan – its origins, history and territory; and more on the Scottish Border Regions and the Reiver Clans. 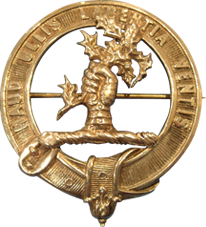 The Border Irvings & Irvines recognised as a Scottish Clan by an Act of Parliament 1587 with its Chiefs descended from William Irving of Bonshaw 1506. NB: Please note that all historical and genealogical articles on this website are sourced from and referenced through publicly accessible and original archive material by professionally accredited ASGRA researchers.